Kit Freedman is the Project and Outreach Coordinator for the Ruckelshaus Institute. Previously, Freedman worked several seasons as a wildland firefighter and was an Oak Ridge Institute Research Fellow in environmental health at the U.S. Centers for Disease Control and Prevention in Atlanta, Georgia. A fifth-generation Wyomingite, Kit grew up in Lander and earned a B.S. in exercise physiology/human nutrition and a joint M.A. in cultural anthropology/environment and natural resources at the University of Wyoming. 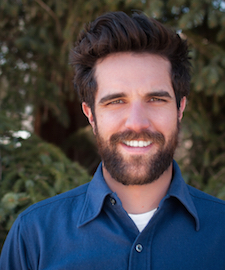 His graduate thesis, Contamination at Wind River: Perception, Science, and the Riverton UMTRA Site, explored the environmental and human health legacy of a former Cold War uranium mill on the Wind River Indian Reservation. Kit has lived abroad near (British Columbia) and far (Australia), and enjoys spending time out of doors from mountains to sea.